I'm still trying to catch up with my book reviews. This one is from last November, and I have read over 20 books since then. I will NOT be reviewing all of them because I would never catch up. I am going to pick the ones that stood out to me instead. Today's review is about Revived by Cat Patrick. Revived is one of those books that is going to stay with me for a long time. Was it the best book I've ever read? No. Was it the most well written book? No. That said, the concept is phenomenal, and I couldn't put it down. This is one of those book that I just DEVOURED. Doesn't that just sound new and interesting? When I first read ABOUT the book, I was so intrigued that I downloaded it to my Nook right away, even though I was in the middle of another book at the time. I jumped right in and kept staying up way too late on school nights because I just NEEDED to know what happened next. Cat Patrick did an amazing job at telling Daisy's story, and the entire book was emotional and gripping. I highly suggest this to all of my reader friends. 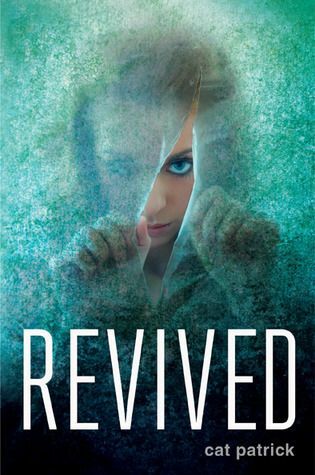 Revived is one book you DON'T want to miss! Just saw your comment (I am a bad blogger!) and wanted to say HELLO! 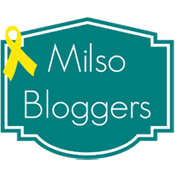 I will be back to read your book review a little later, until then, I hope you enjoy learning a little more about me on my Liebster Award post! Okay! This is on my "To Read" list! Now to just find the time (and sanity...thank you kids!) to actually read it! :) It is! I'm all about finding unique books to read! Thanks for checking me out! I'm a new follower of yours as well, and look forward to reading your blog!!! Wow! You read A LOT! And you two are so cute. Looking forward to more of your posts.